Aside from that nosy neighbor of yours and your ever meddling mother-in-law, some seemingly common household pests can actually have an extremely detrimental effect on you, your family and even your beloved family pet. There are all sorts of ways to control pests today, both inside and out. If you’ve got pests in your garden, there is every chance those pests will find their way into your home, particularly when they start looking for a more comfortable place to spend the colder or wetter months. So, who are these pesky little marauders and why are they dangerous? What’s the problem? Wasps, bees and hornets, although also known as beneficials, can all cause anaphylactic shock in people, with certain allergies. The not beneficial tick carries Lyme disease. And mosquitoes, aside from being highly annoying, are known for carrying the West Nile virus and Malaria. So, what can be done? Wear proper attire when working in the yard or hiking, seal up any food or garbage including human and pet waste, keep grass on the short side and avoid wearing perfume that smells sweet or pungent. Some insects are attracted to damp or moist areas, usually around dusk and dawn. Also, try to use repellents that do not contain harmful chemicals. 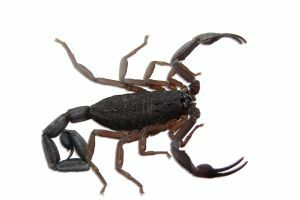 We all know about scorpions (check your shoes before you slip into them in the morning) so let’s take a look at the ants and spiders. Of course depending on what kind of ants and spiders we’re talking about here the damage that can be done by them to humans varies. Fire ants for example, as with some other species of ants, cause extreme pain, inflammation, itching and swelling. Certain spider bites can be deadly, in addition to causing the same symptoms plus nausea and vomiting. Other than vermin, which will be discussed shortly, possibly one of the most germ laden household pests is the common, everyday housefly. This one disgusting little insect can spread disease, afflictions and germs, such as tapeworms, pinworms, dysentery, cholera, typhoid fever and other issues related to downright filth. Ugh… These are the things that nightmares and horror movies are made of. Aside from just your basic creep factor, these disgusting vermin carry disease like no other. Nothing is out of the question, when it comes to what mice and rats will try to make a feast from. Even human and animal waste is not to disgusting a meal, for these hideous creatures. The bite from a rat can even be infected with rabies. The creep factor of centipedes is similar to that of vermin – if not more so. Can they be dangerous? Yes, they can. In fact certain centipedes are capable of inflicting a bite that is comparable to that of a sting from a bee. It would make little sense to get rid of household pets that are dangerous, if we always insisted on using dangerous chemicals, in order to do so. I would rather face a fly than a shot out of a caustic chemical laden insecticide spray can. So caustic are some of these chemicals, that some people have been known to carry hornet spray, because of the length at which it shoots out and because of its harmful properties – rather than mace. By controlling these pests outdoors, such as using beneficial nematodes in the garden, you can discourage some critters from picking your home and garden, as their favorite buffet and home away from home. Going green is all the rage these days, so why not save the planet, save an animal, save your self for that matter and still kill the pest with something organic and safe for one at all – except of course the pest.